On today’s episode of “Dark to Light,” Frank and Beanz are back in the saddle together, talking about all of the news that’s fit to err… mock? They start with a quick recap of the #WalkAwayMarch in all of its inclusion and glory, and quickly get into analysis, covering George Papadopoulos’ recent record breaking tweets as well as the theories surrounding what his initial role may or may not have been. Who was he working for? Was he oblivious to what was happening around him? What will his interview with Dan Bongino look like? raise questions about how close he actually was with the campaign. Why did Steve Bannon rebuke Stone so easily? Frank and Beanz move on to talk about the Project Veritas video exposing Beto in Texas, and Hurricane Frank sweeps in to educate us on some history regarding the 14th amendment and how (if at all) it applies to today’s world. 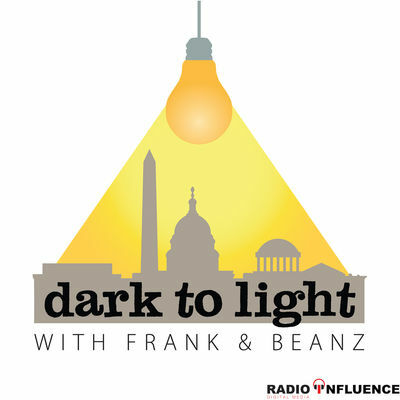 Don’t miss this weeks “Dark to Light” with Frank and Beanz! Skillshare is an online learning community with over 20,000 classes in business, design, technology. You can take classes in social media marketing, data science, mobile photography, creative writing – you name it, they’ve got it. Skillshare is offering Dark To Light listeners two months of unlimited access to over 20,000 classes for just 99 cents. To sign up, go to Skillshare.com/darktolight.